This emblematic animal from Bali is used to take a bath every day in the river close to Dajuma. Driven to the river by our neighbor farmer they spend quite a long time in the water with their babies. Just by looking at them, we can see how good they feel. 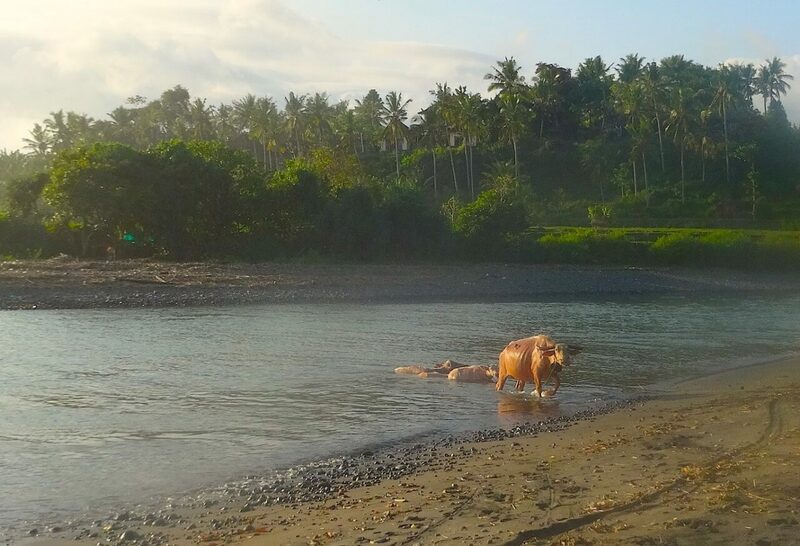 The farmer says that « it is a tradition in Bali to bath the buffalos because they like it and feel good after. And a buffalo feeling good is a buffalo who works well ». Next time you go strolling on the West beach in the direction of Medewi surfing spot just before sunset, don’t miss this spectacle : it is really something to see !